Over the past two years, the Institute for Materials Research (IMR) has helped initiate and solidify several collaborations with Indian materials scientists, which are progressing into rich, ongoing partnerships. Thus far, outreach coordinated through IMR has resulted in the signing of a Memorandum of Understanding by the Indian Institute of Technology – Bombay and Ohio State, a joint scientific workshop for materials researchers of the two universities, and most recently, a newly funded joint research project allowing IITB and Ohio State researchers to explore gallium oxide transistors. In January 2015, the partnership between The Ohio State University and the Indian Institute of Technology-Bombay was formalized when leaders of both institutions – Ohio State President Michael Drake and IITB Director Dr. Devang Khakhar – signed a Memorandum of Understanding to create a strategic partnership building on the two universities’ complementary strengths and assets, beginning with focus areas of advanced materials and manufacturing, solar energy, semiconductor devices and bioengineering. In June 2015, IMR hosted Materials for Energy and Sensor Applications, the first IITB-Ohio State joint workshop which included tours of four Ohio State research facilities, presentations from 19 IITB and Ohio State faculty, and networking opportunities. The universities are currently planning another joint workshop for 2017, this time hosted by IIT-Bombay in India. One major outcome of the 2015 joint workshop is a research collaboration funded through the new Global Partnership Grants program of the IMR and its M&MS Discovery Theme focus area. Global Partnership Grants (GPGs) establish global impact in research and development, technology innovation and shared multinational education following the themes defined by the M&MS Discovery Themes program. GPGs require matching funds from the partner institution, and these awards encourage rich collaborations between research groups by hosting a graduate student from one university at the other’s campus for several months, allowing international research teams to work together in the lab daily to investigate materials-led solutions to global sustainability challenges. 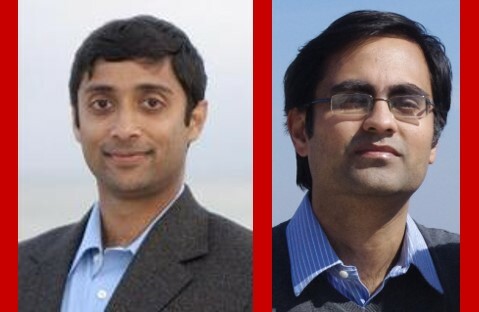 This inaugural Global Partnership Grant award funds the research project “Development and Characterization of Gallium Oxide Transistors,” a collaboration between Siddharth Rajan, Associate Professor in the Electrical and Computer Engineering and Materials Science and Engineering departments at Ohio State, and Saurabh Lodha, an Associate Professor of Electrical Engineering at IIT-Bombay. This grant will enable collaborative research on energy-efficient electronic devices based on a new semiconductor material, Gallium Oxide. This material has the highest electric breakdown strengths among known semiconductor materials, and can enable transistors with higher efficiency and power than possible from conventional Silicon. Electronics based on such transistors could enable a new class of ultra-efficient high voltage electrical systems for next-generation technologies including electric cars, solar and wind farms, and data servers. An IIT-Bombay PhD student will spend several months at Ohio State to work with a team of researchers on various aspects of Gallium Oxide material growth and device design, with a primary focus on developing high-quality and robust gate and passivation dielectrics for high voltage transistors based on Gallium Oxide. They will also investigate new topologies for lateral and vertical transistors based on Gallium Oxide, and investigate unique properties related to electronic transport, carrier doping, implantation, and electric breakdown in this material. We are excited to announce this first Global Partnership Grant award, and expect to announce a second GPG in the near future. IMR continues to work with Ohio State’s India Gateway office and others to stimulate research collaborations between Ohio State’s materials community and researchers and industry partners in India, as the umbrella organization for Ohio State materials research and the lead organization for the Materials and Manufacturing for Sustainability focus area of the Discovery Themes Initiative.